Fans of Maurice Sendak's Caldecott Medal-winning Where the Wild Things Are will love Kenny's Window—now back in print! After a young boy named Kenny dreams of a magical garden, he sets off on a quest to find it. The Horn Book praised Kenny's Window, saying, "For the first time, Maurice Sendak's distinctive sketches accompany his own text. Together they have created a little boy's unique world, blended of the reality inside and outside his window and the make-believe of his dreams." 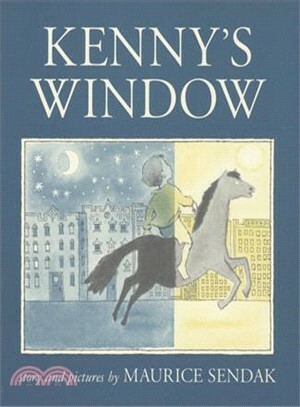 First published in 1956 and now back in print, Kenny's Window is Maurice Sendak's debut as a writer.